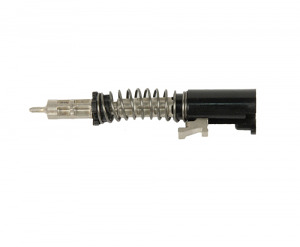 Sig Sauer Striker Assembly, compatible with Sig Sauer P365. I have made several purchases recently from Top Gun Suppy. TGS has had everything I needed for my sig P365 and responded almost immediately, shipped very quickly and received my orders during a holiday week with in 4 days. TGS has parts for the P365 at reasonable prices that no other supplier has. I highly recommend TGS. They are now my go to supplier for my firearm needs.